As skin ages, it becomes thinner and more easily damaged. Intensifying this effect is the decreasing ability of skin to heal itself, as a person ages and skin requires a longer time to heal in later life. Skin sagging is caused by the fall in elasticity. Ageing skin also receives less blood flow and lower gland activity. The solution? Adequate hydration is vital for keeping your skin healthy. It is important to do as much as possible to prevent skin from becoming dehydrated. 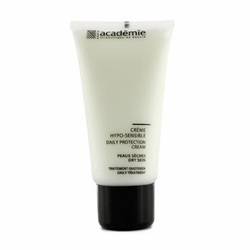 The Creme Dehydrante is the answer - it keeps or boosts the water content in your skin with daily application.